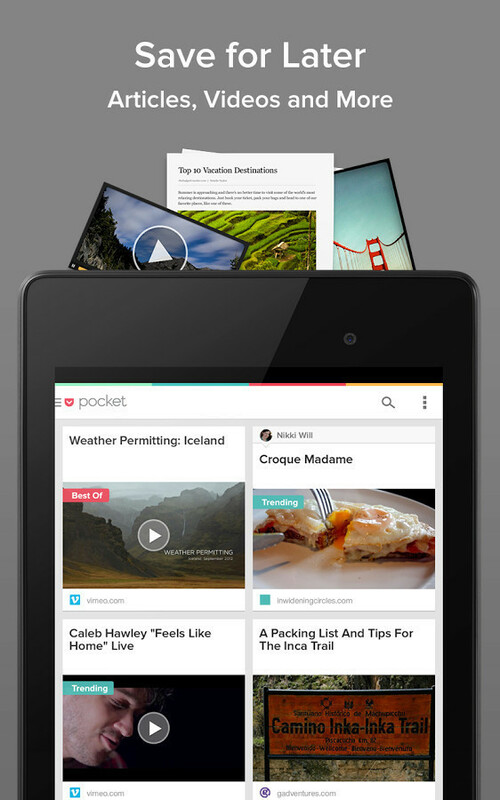 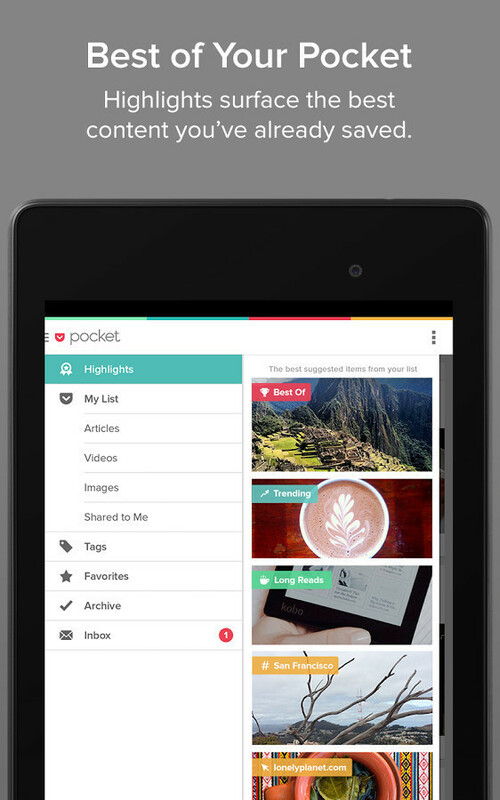 Save in your Pocket any content that you want to watch at it later. 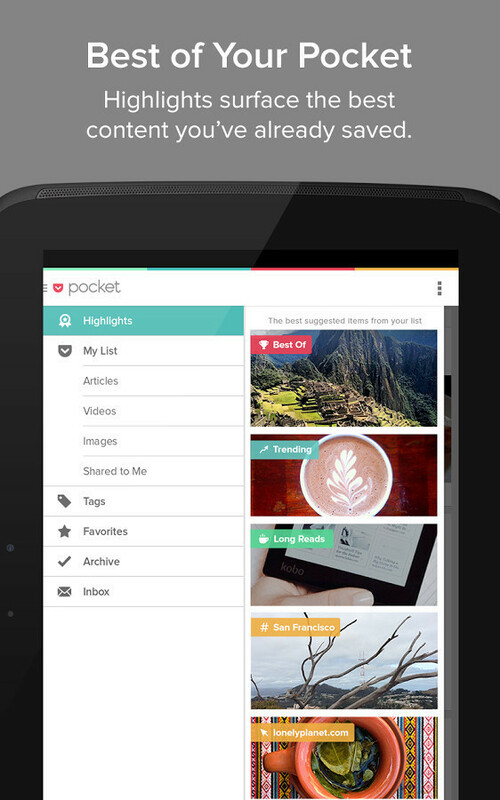 More options for your Android. 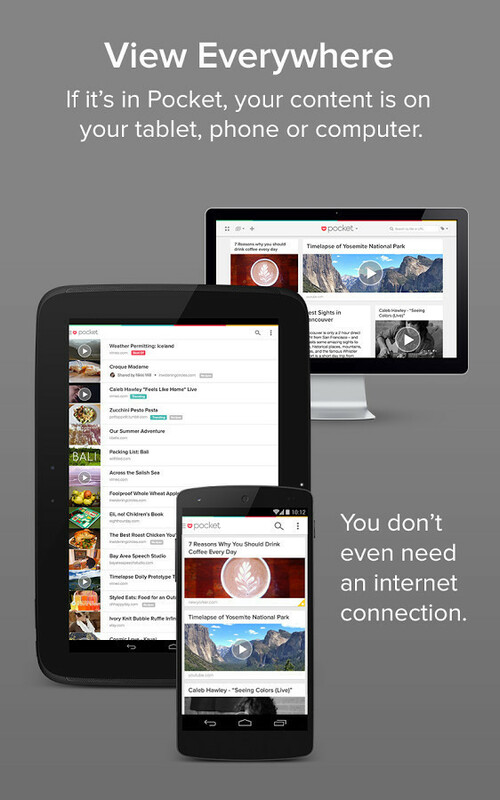 Your social network in Android; do not miss anything of what happens in society. 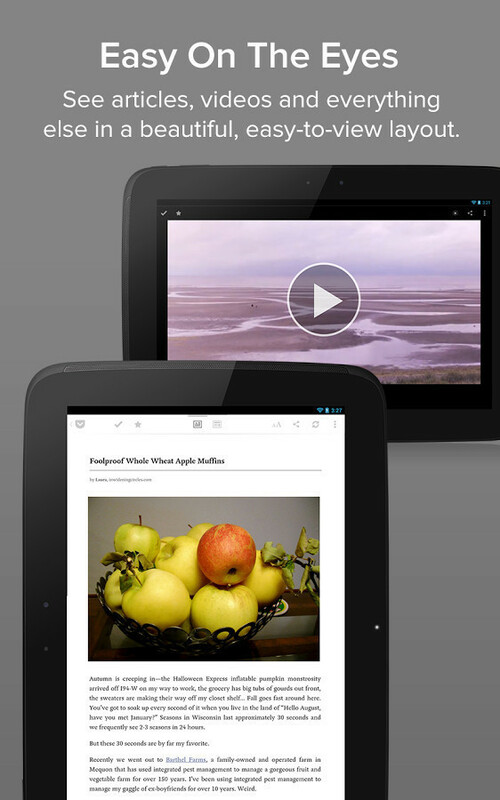 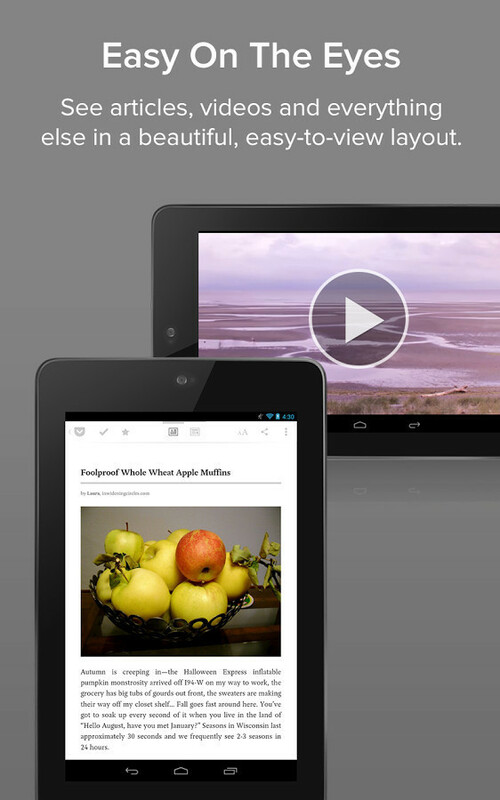 The latest news on your Android in a way that is simple, fast and comfortable. 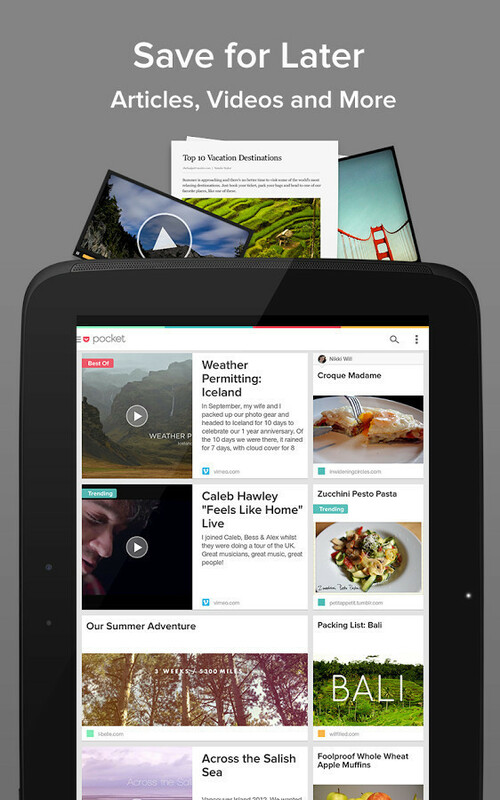 Get all the latest breaking news on your Android when you want it. 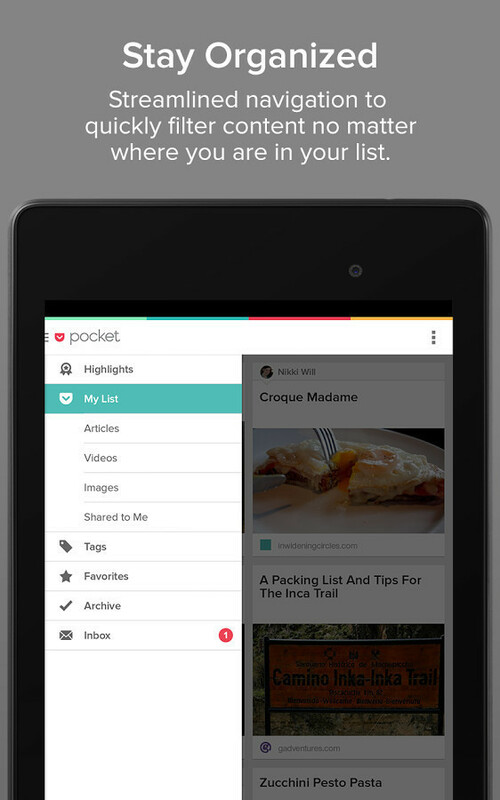 Get all the news that interests you directly on your phone. 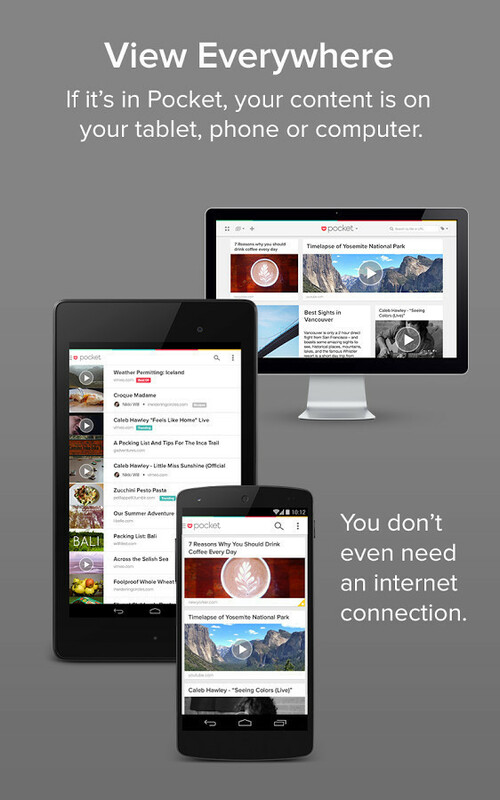 Get all your favorite news and entertainment publications, and keep them in one place for all your devices. 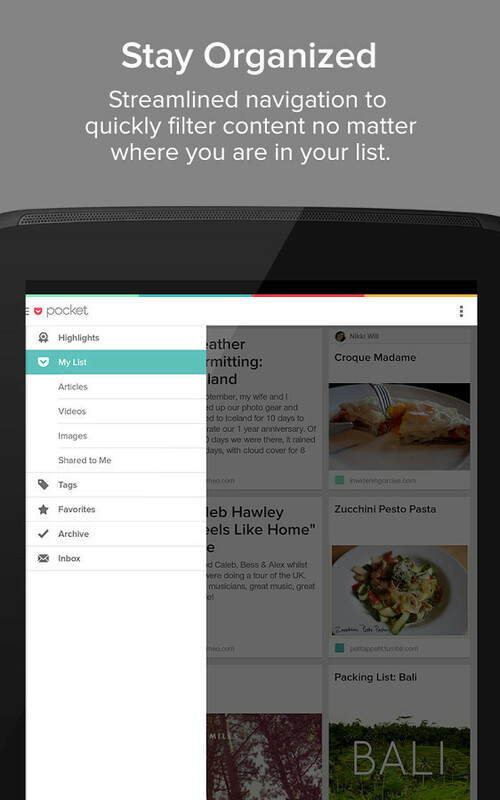 All the news you want, from sources your trust, and a reliable app.